Thank you Lakeland Bank for continuing to support our community! 2018 Florida Trip Team Members are pictured above. Click the buttons below to follow us on social media. To follow the varsity game on iScore, please use the link above, or search Lakeland 2019 in iScore Central. 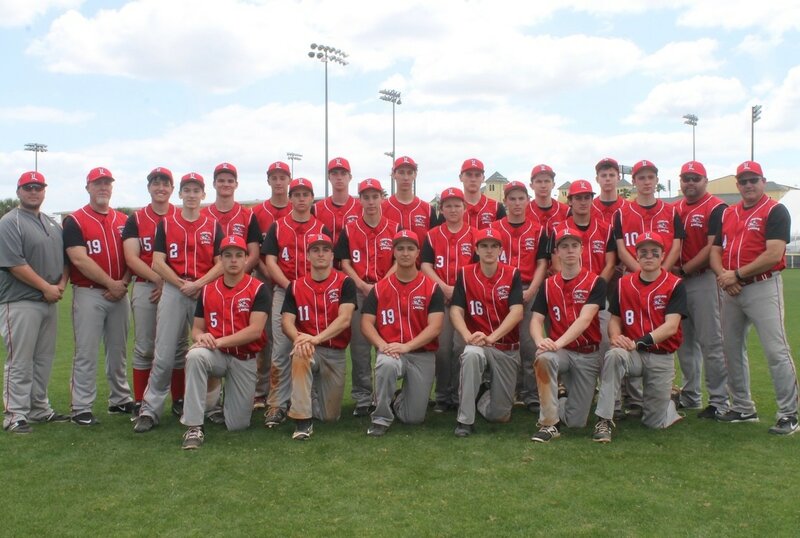 Welcome to the official site of the Lakeland Lancer Baseball teams. This site was originally created in 2008, and has served as an information portal for everything Lancers Baseball. Team rosters, schedules and coaches information can be found here. As the season progresses we will update the site with scores, stories and special announcements. Check back often throughout the season. The Lakeland Lancers Diamond Club is a parent based, non-profit fundraising organization which supports the activities of the Lakeland Regional High School baseball program. A list of our current fundraising activities is available on the Fundraiser's page of this site, and our page shows a list of our current officers. Each year the Diamond Club is active in fundraising activities to enhance the baseball experience for all three levels of baseball at Lakeland Regional High School. This site is published and maintained by the Lakeland Lancers Diamond Club. This site is independent of the Lakeland Regional High School web network. The Lakeland Lancers Diamond Club was formed in 2005, to support the Lakeland Regional High School Lancer's Baseball Team. Our original website was first posted for the 2006 season, and has evolved over the years. Beginning with the 2009 season - and our first seasonal trip to Disney - we began to develop this site to be the sole source for everything Lakeland Lancers Baseball. Our fans check here regularly for scores, game schedules and updates throughout the season. - Thank you for visiting our website.